Rethinking an established brand's digital presence. The College of Design brings together some of the most creative minds from across the world whose interests span a variety of disciplines. Guided by an elite group of faculty who are at the top of their industries, the College of Design prepares designers to go out and shape the world. Now more than ever, design plays a major role in the development of everything from branding to product development and even business practices and procedures. The size and shape of mobile devices; the animation we see on the big screen; the materials used in the buildings we enter–design touches everything around us. 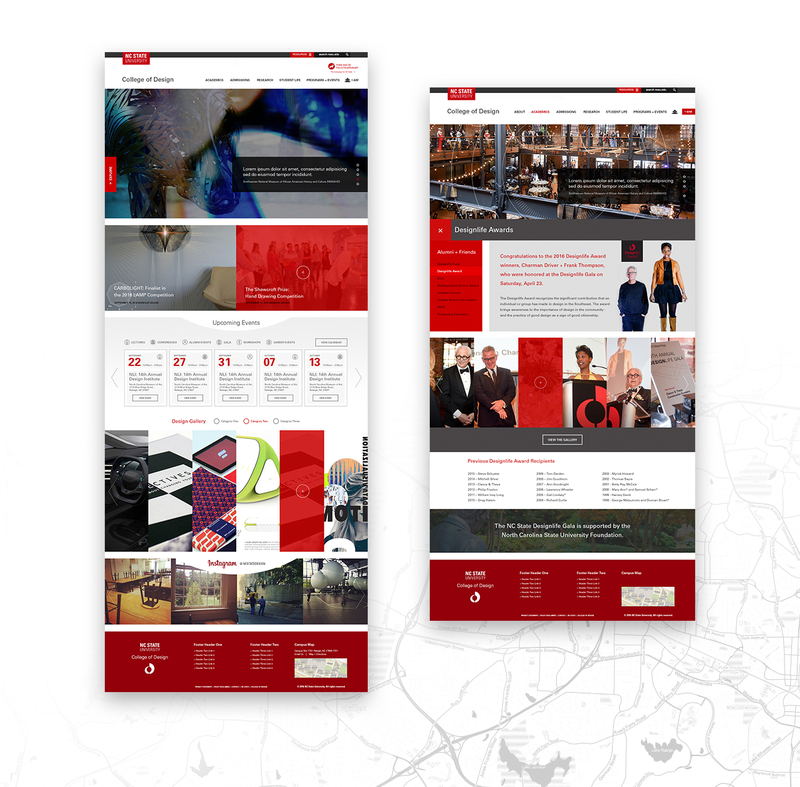 With an unprecedented brand already in place, Mellonaid was commissioned to rethink and execute The College of Design’s website; one that stays true-to-brand while delivering a unique and captivating user experience. 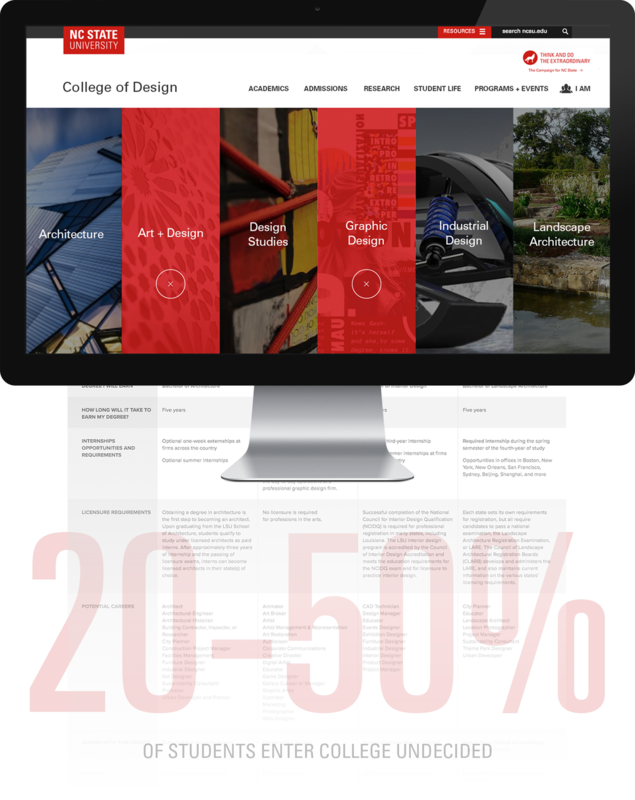 As a leading multidisciplinary design school focusing on a wide array of mediums, NC State’s College of Design had a need to span their existing brand voice across each discipline while providing a distinguished experience to both current and prospective students, faculty, alumni and parents. 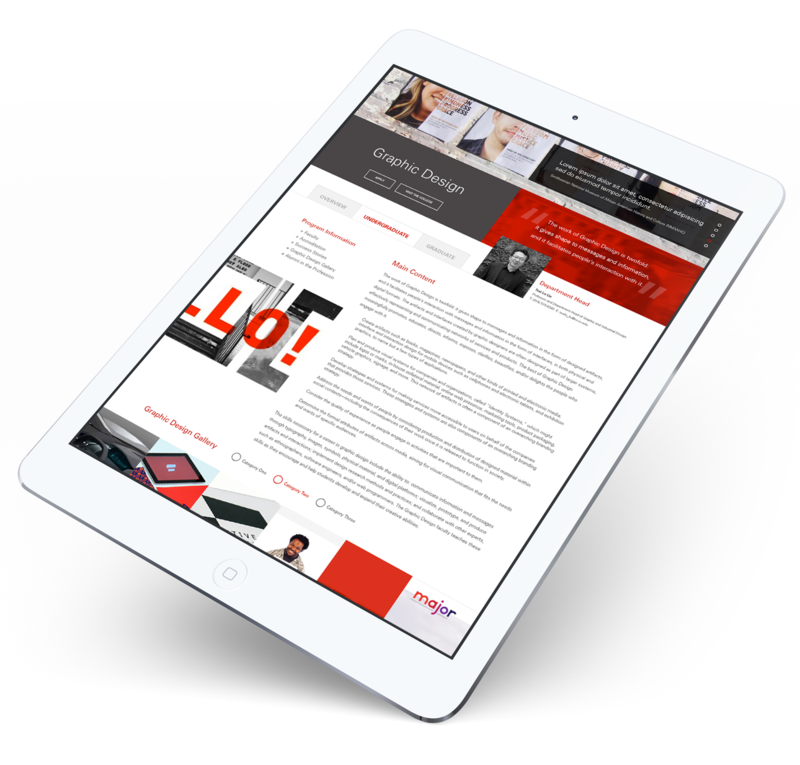 With extensive upfront research and analysis coupled with a deep-rooted passion for design, we set forth to restructure and redesign a site that served this very purpose. 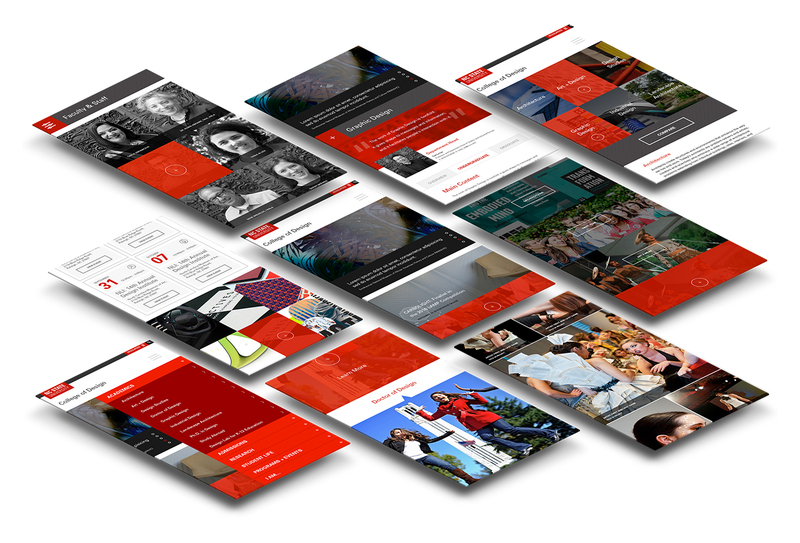 Providing both streamlined functionality and an on-brand user experience, the site began to unfold, illustrating and highlighting the very detail that makes up this award-winning university. During initial ideation sessions, we discovered a void in the way students work was displayed across both the individual disciplines as well as the overarching College of Design. Their existing structure was a cumbersome process to manage on the back-end and required, even more, effort for a user to view selected works to learn more about the artist and their creations. Once we understood the clients’ needs, we began to conceptualize every facet and iteration possible to develop the most advanced, one-of-a-kind media handler. 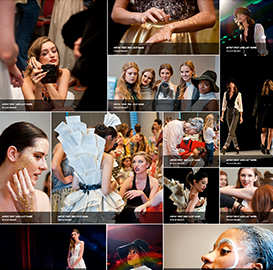 In the end, the new system proved unmatched by anything else on the market and gave the College of Design their own proprietary tool to manage multiple media galleries across their site. An estimated 20 to 50 percent of students enter college as “undecided” (Gordon, 1995), and an estimated 75 percent of students change their major at least once before graduation (Gordon, 1995). Whether you’re applying to or already attending a design school, it’s not always easy choosing a path and hoping it’s everything you thought it would be. With a variety of interwoven disciplines, it was paramount we provided a tool to make the section process simple, intuitive and reassuring while providing a clear understanding of each discipline. The more we dove in and understood the pain points of the end user, we were able to develop and implement a tool that would provide prospective students with the information they needed. 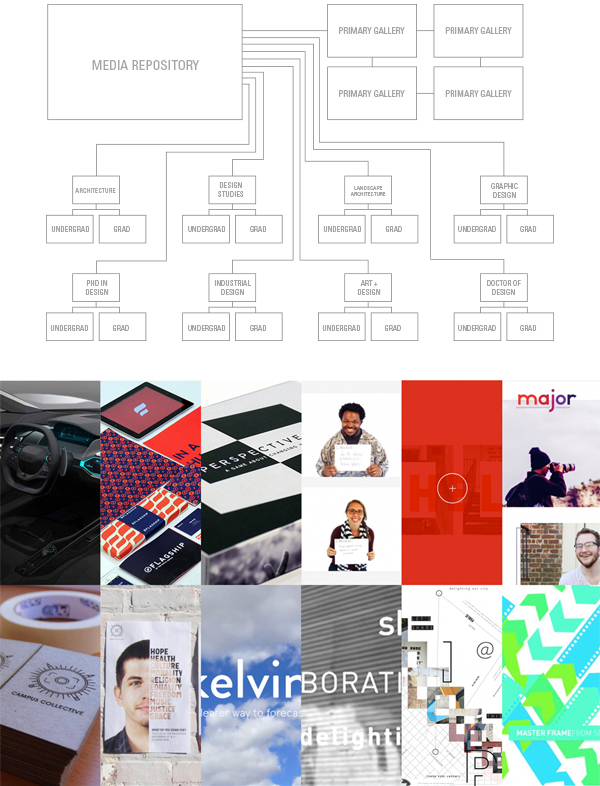 Through the Explore function, prospective and current students were given the ability to create a customized side-by-side comparison of multiple disciplines. From here, they can compare and contrast anything from general interests and skills garnered to career opportunities and paths post-graduation.